Illegal miners trapped in a South African mine overnight on Saturday were on Sunday afternoon being brought out from underground and arrested by police as they emerged. 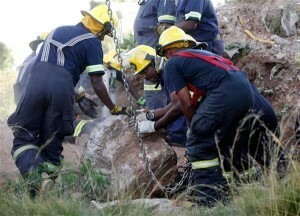 Rescue officials move a rock removed from an abandoned gold shaft as they work to rescue trapped suspected illegal miners in Benoni, east of Johannesburg, on Feb. 16, 2014. By 7 pm local time, 11 had been brought out of the mine shaft after a large boulder blocking their escape had been removed. A spokesman for rescue service ER24 said miners were transferred straight from an ambulance to a police van. The miners may have been trapped deliberately by a rival group as they worked to try and find pieces of precious metal left behind after industrial operations in the shaft ended several years ago, a spokesman for ER24 said. They were discovered after emergency services staff heard screaming while conducting a routine drill in the area. Around 30 miners were close to the surface, where a large boulder was blocking the entrance. They communicated to rescue workers that there are 200 people trapped in total and the rest are down a steep tunnel. Werner Vermaak, a spokesman for ambulance service ER24, said rescue workers had to wait several hours for specialist equipment including a crane to move the boulder without destabilizing the ground around it, but they had now begun work. Water has been passed through gaps to the miners – the temperature in the area was 80F by 3pm. Mr. Vermaak said that the way the miners were trapped by the boulder suggested foul play. “Sometimes it happens that rival groups close the entrance off,” he said. Mining is one of South Africa’s biggest industries and disused mines cover the landscape around Johannesburg. Mining firms are expected to secure the areas to prevent illegal access but the security is frequently breached by people eager to search for scraps left behind by the commercial operations. As a result, such entrapments are almost a weekly occurrence, although rarely on the scale of the latest incident near Benoni. “They are very common in this area particularly but this is probably the largest one we have seen for quite some time,” Mr. Vermaak said. A petition with more than a million signatures was submitted to the Brazilian government on Thursday urging President Dilma Rousseff to grant asylum to former National Security Agency contractor Edward Snowden. Snowden, now in Russia on temporary asylum status, asked Brazil for asylum in December in an open letter to its citizens. The Brazilian government had said it required a formal request from Snowden to grant asylum. Today, more than a million people have done what Snowden cannot and presented this request in his name, Avaaz Director Ricken Patel told Agence France-Presse in a statement. In exchange for asylum, Snowden offered to aid Brazil in investigating the NSA’s surveillance operations in their country. Glenn Greenwald, the journalist who obtained and reported on the first document Snowden leaked, lives in Brazil. The European Union also considered granting Snowden asylum this week. Members of the EU parliament debated an amendment to a report this week that would have required EU nations to provide protection to Snowden. A parliamentary committee, however, voted against the amendment on Wednesday. Snowden’s temporary asylum status in Russia expires at the end of July. One Russian official recently hinted his protection could be extended. The gunmen, who arrived in the village riding in trucks and on several motorcycles, opened fire and hacked male residents they had assembled in the village square. They moved door to door in search of male residents who were hiding. The attack prompted an exodus of hundreds of panic-stricken residents of nearby villages to the neighboring Madagali district in Adamawa state. “We suspect that the gunmen were members of Boko Haram. They have taken over the village,” said Madagali local government chairman, Maina Ularamu.. The attackers looted businesses and food stores “and loaded all their spoils into vehicles owned by residents and fled into the bush,” said Ularamu. In the second attack early Saturday, suspected Boko Haram gunmen opened fire on Doron Baga, a fishing village along Lake Chad. “They opened fire from all directions, forcing residents to jump into the lake in a bid to escape, and many drowned while others were gunned down,” said Babagana Gwoni, a survivor of the attack. The gunmen looted fish and foodstuffs before setting houses on fire, Gwoni said. Lt. Col. Mohammed Dole, a military spokesman, confirmed the Doron Baga attack but declined to give details. “We received report of the attack on Doron Baga, but we don’t have details because the area falls under the operational jurisdiction of the Multinational Joint Task Force,” Dole said. c) What obvious question would you ask after hearing that rivals trap each other in mines almost weekly? d) What steps, if any, should the South African government require mining firms to take to prevent illegal mining? Explain your answer. Despite the widespread support for Snowden in Brazilian society and media, Virgilio Caixeta Arraes, a professor of international relations at the University of Brasilia, said he doubts the Avaaz petition will change the government’s mind. “At the moment Brazil has no interest in picking a fight with the US,” Arraes told DW. Snowden is seen by many as people around the world as a whistleblower who drew back the curtain on egregious surveillance programs conducted by the NSA, while others regards him as a traitor who stole US state secrets. Since mid-2013, Snowden has been in Russia, which has granted him temporary asylum. Petitions in his support have been run in various countries, including Germany, but so far none of the 21 countries that Snowden has appealed to has offered him permanent asylum. Most of them claim that the legal conditions for asylum have not been met. Do you think Brazil should grant Snowden asylum despite Obama administration objections? c) How do you think the U.S. should respond to any government that gives Snowden asylum? (ignore it, send a strongly worded letter of opposition, end trade deals with that country, other) Explain your answer. What obvious questions do you have about this situation? In the letter, Snowden said he was ready to help the Brazilian Senate’s investigation of US eavesdropping [on] the communications of President Dilma Rousseff and Petrobras, the state oil giant. But he added he was not offering to swap information for asylum. 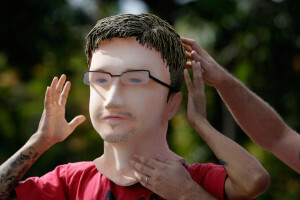 After Snowden posted the letter, Brazilian David Miranda, boyfriend of American journalist Glenn Greenwald (who reported the Snowden leaks when he was a columnist for The Guardian), and the non-profit organization Avaaz, which specializes in online petitions, initiated a campaign for Edward Snowden’s asylum in Brazil. The NSA snooping had infuriated Rousseff, who canceled a state visit to Washington scheduled for October in protest, and pushed for a UN resolution aimed at protecting “online” human rights. President Rousseff has not commented on a possible asylum request as Brazil says it has not received one. The foreign ministry confirmed that remained the case and a spokesman said Thursday’s petition would be handed over to the justice ministry. Boko Haram, which means “Western education is sacrilege” in the Hausa-Fulani language, has launched a self-described “war on Christians” and seeks to impose a strict version of Sharia law across northeastern Nigeria, if not the entire country. In November the U.S. State Department designated Nigeria-based Boko Haram and its offshoot Ansaru as “terrorist organizations,” legally enabling Washington to take various steps against the groups, their members and their supporters. 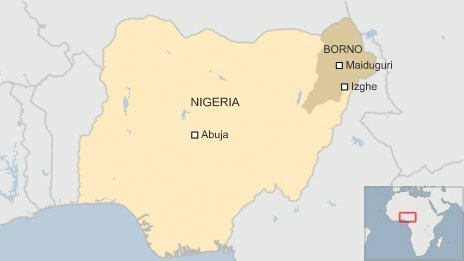 In Nigeria, thousands have been killed and tens of thousands forced from their homes by the state of emergency and by these Islamists who want to create an Islamic state in Nigeria, Africa’s biggest oil producer with a population of more than 160 million made up of about equal numbers of Christians and Muslims. Nigeria’s half-decade long war with Boko Haram is shifting toward its borders, particularly a stretch of forest called the Gwoza Mountains. Residents in the area have seen repeat raids by Boko Haram, a group that seeks to impose fundamentalist law in Africa’s most populous country. The purpose of many of those village raids, including Saturday’s, appears in part to be food, say residents. As the sect’s war with government increasingly escalates into full-scale conflict for control of territory in Nigeria’s northeast, analysts and Nigerian military officials say Boko Haram is struggling to maintain supplies of food. That poses a challenge to Nigeria’s military, which is responsible for safeguarding a stretch of tiny villages dotted across thickly-forested mountainous terrain. On Wednesday, the air force began daily aerial bombardments near Izghe of extremist hide-outs in the Sambisa Forest along the border with Cameroon. Soldiers moved in on foot following the bombing and at least nine troops and several militants were killed in a fierce hourslong battle, according to hospital and military sources. After that attack, Ularamu urged the military to deploy more troops, saying the soldiers are outnumbered and outgunned by militants armed with antiaircraft and antitank weapons as well as armored cars looted during attacks. Dozens more soldiers were stationed in recent days in Madagali town, about 30 kilometers (20 miles) from the scene of Saturday’s attack.